December 19 will be the second anniversary of a dreadful night. That was the date the ceiling at the Apollo Theatre, in Shaftesbury Avenue, partially collapsed, mid-performance during the National Theatre’s transfer of The Curious Incident of the Dog in the Night-Time, creating the most major incident of a theatre in the night-time in living memory. It left many injured theatregoers requiring hospitalisation, and scenes of such utter devastation in the stalls that the only miracle (and massive relief) is that no one was killed. That night coincided with most of the West End’s cognoscenti attending the first night of another disaster across town with the premiere of Andrew Lloyd Webber’s Stephen Ward that only left professional egos battered but no physical injuries. I vividly remember the show ending and word quickly spreading of what was unfolding in Shaftesbury Avenue as it was turned into an emergency scene. I’m still sorry that I rushed to judgement and declared in several media interviews, on TV and radio, that it was an accident waiting to happen, given the general state of neglect and (dis)repair of many West End theatres, long before the official reasons were found. I called for all theatres to be immediately inspected before they could be used again. 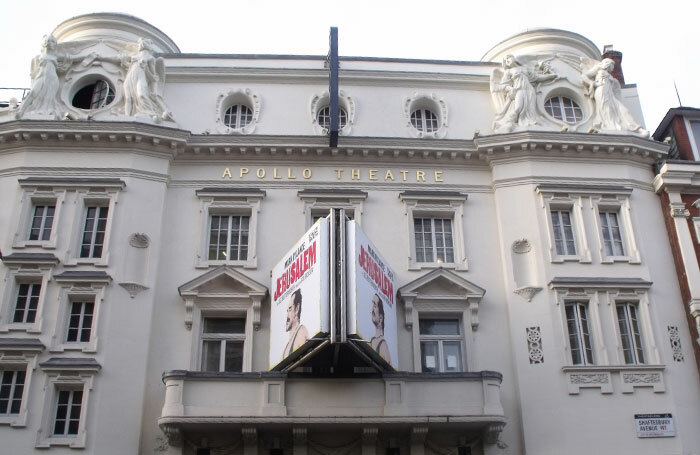 The head of the Society of London Theatre, Julian Bird, pointed out to me that every theatre held a current safety certificate and was therefore safe to be open; but I replied that that had been the case with the Apollo the day before. In fact, I was both right and wrong — it was an accident waiting to happen, but not because of cosmetic disrepair but owing to something far more serious that no one could have anticipated. In March 2014, Westminster Council found that it had been caused by the deterioration of some century-old cloth and plaster ties holding up the timber frames. The ties, made of hessian and plaster of Paris, were used to lash together timber frames to support the suspended ceiling, and had been in place since the theatre opened in 1901. The age of the structure was to blame, and the council officially determined almost exactly a year after the accident than there had been “no breach of the current laws”. All credit to her, too, for not merely getting the theatre back into service within four months, but also undertaking a complete and thorough refurbishment of the theatre that has turned it into one of the West End’s most beautiful. Its ornate plasterwork had always made it one of my favourite theatres in town, but now it positively shimmers and glows. I was there again earlier this week for the opening of Peter Pan Goes Wrong , and was able to appreciate its beauty once again. But theatres also carry something else, beyond the physicality of their four walls, and that’s the sense memory you bring every time you go to one of the shows you’ve seen there before. I’ve seen countless shows at the Apollo, good and bad, one or two historic, some entirely forgettable. It was here, for instance, that I saw the final stage run of Sir John Gielgud in High Whitemore’s The Best of Friends in 1988; other veteran actors who I’ve seen treading its boards include Paul Scofield in the UK premiere of I’m not Rappaport, Wendy Hiller in the UK premiere of Driving Miss Daisy, Peter O’Toole in the original run of Jeffrey Bernard is Unwell and Warren Mitchell in a revival of Arthur Miller’s The Price. There have been lots of terrific transfers there that I’ve seen again on its stage: Jerusalem from the Royal Court with Mark Rylance, Mary Stuart from the Donmar Warehouse with Harriet Walter and Janet McTeer, Penelope Wilton in The Deep Blue Sea and Jonathan Pryce and a (very) young Eddie Redmayne in The Goat or Who Is Sylvia? (both from the Almeida), A Madhouse in Goa from Hampstead with Vanessa Redgrave, Richard III and Twelfth Night from Shakespeare’s Globe (Rylance again, plus Stephen Fry) and The Curious Incident of the Dog in the Night-Time from the National with Luke Treadaway (until the ceiling partially fell in). It was also, less auspiciously, the place where I saw Simon Russell Beale make his West End debut in 1985 — only inauspicious because the show, a revue celebrating the great American lyricist E.Y ‘Yip’ Harburg called Look to the Rainbow that transferred from the King’s Head and lasted barely a month there. But two curious side-notes: it was devised and created by Robert Cushman, a former long-serving theatre critic of The Observer; and also starred the great, late Broadway actor and film star Jack Gilford. He subsequently sold the theatre to Nimax in 2005, and that “shocking” state became its problem. It’s regrettable that it took a major incident for it to finally be restored to something like its former glory. But as Nimax now reinvests funds into its buildings, unlike some other theatre owning chains I could mention, it has been impressive to see a similar makeover done to the Garrick, where Kenneth Branagh has just opened his year-long residency to turn that intimate playhouse back into another West End jewel.